In the early 1980s at Subjective Audio Ltd I took a pair of these in part exchange against a pair of Lentek Monitors, transmission line; a Bert Webb design. Those Lenteks, an overlooked ‘classic’ were exceptional and a substantial upgrade in both performance and cost (and size) to the Clyde’s. Those Clyde speakers though were not disgraced; far from it. They were, for their then modest asking price of £105 quite simply fantastic. I was a bit sniffy about brands in those days and I look back with a degree of embarrassment. Subjective Audio under my guidance believed we were selling the audiophile equivalent of Audi, Porsche and Lamborghini. Consequently we looked at brands like Castle as both ‘worthy’ and ‘uninteresting’ like say Datsun / Nissan, Fiat and Toyota. In retrospect this was grossly unfair to Castle and others of their ilk. Apart from anything else, Nissan and Toyota were industry leaders for both value and reliability; Fiat less so. Moreover they had, even way back then, millions of happy car owners. They were in those days without pretension and I guess for me and my peer dealers, an audiophile brand without pretension was a non-starter. More fool me. Castle were in those days up against such notables as B&W, Celestion, Diesis, Harbeth, Heybrook, Lentek and many, many more. All UK brands! That’s not the point of this post though. 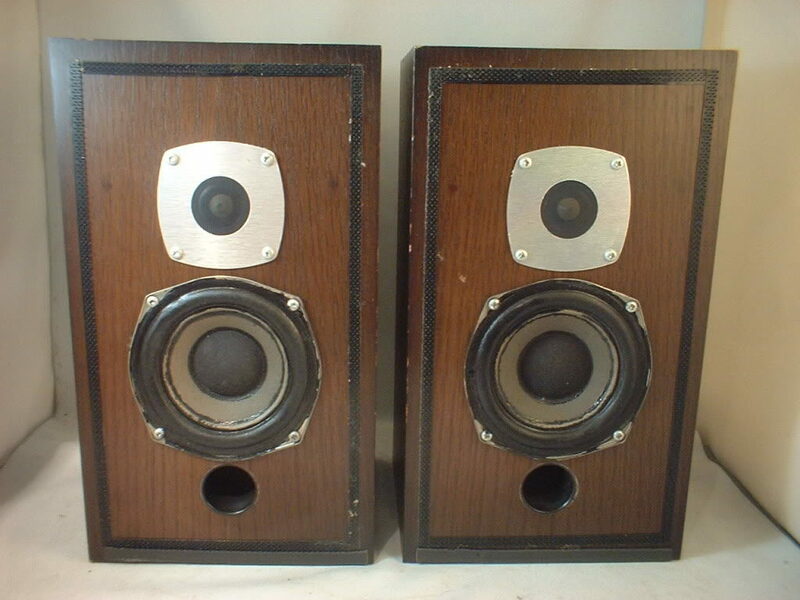 I'm looking at these vintage speakers, as an ‘investment’ at today’s cheap as chips preowned market. Used speaker choices in good condition are plentiful. However could it be that these Castle Clydes are ‘sleepers’; units worth considering today? My view is that it’s time this vintage design received greater recognition – hence this modest attempt at resurrection by me. Are you open to persuasion? Castle Clydes when new were £105 per pair. For comparison, at that time strong competition came from: Arcam One; £299, B&W DM100; £100, Goodmans LS3/5a; £240, Celestion DL4; £100, Dieses Solitaire; £220, JPW AP3; £185 and many more. As soon as they were plugged in to enable both I and the customer to compare them to the Lentek Monitors it was clear these were great speakers in their own right and fantastic for the money. How did Castle achieve this? Castle took pride in building the majority of the components themselves. Clearly then they had excellent control is balancing price to performance through not having to construct around third-party drive unit characteristics. Castle are still in business. My guess is that all components are available although of course it makes sense to check first. My perception is that Clydes are a risk-free investment. Moreover I very much doubt if any UK-made speakers at a typical pre-owned price can meet, let alone exceed the performance of any new speakers available at a similar price! Simple as that. So .. what did it sound like? Well, given the smallish size, terrific bass ‘slam’ isn’t going to occur. The midrange was (and we liked this) a tad forward but there was no ‘shouting’ and this characteristic was exciting without being fatiguing. The bass was taut and articulate and felt ‘fast’. Yes, the sound was from time to time just a little ‘boxy’ and driven hard the extreme top end could be a little sibilant – but then again, just look at the very modest asking price. In those days we didn’t pay too much attention to imaging and depth but looking back at the notes, today I’d interpret those observations today as being ‘acceptable’ re these characteristics. In summary it’s clear that at the time we felt the performance to be ‘tidy’ i.e. the two drive units were very well integrated. On rock music it had punch, with both jazz and blues it was detailed without being strident and on classical it rarely sounded unacceptably artificial. It was a great product then and assuming no physical deterioration may well be great today – within its design objectives. Receivers: Yamaha CR450, Sansui 331, Pioneer SX 434, Tandberg 220, Tandberg 2075, Marantz 2230, Trio 7400, Luxman 800. For: Absolutely everything at the price. Guide prices are hard to determine because of the rarity and the varying cosmetic conditions. Despite the passage of years at the fact that nearly 40 years back they retailed at £105 per pair I would still pay £100 of today's money for a well-looked after pair. I always loved the Castles. My impression was that the cabinets were beautifully made and built to last. Thanks for the review.